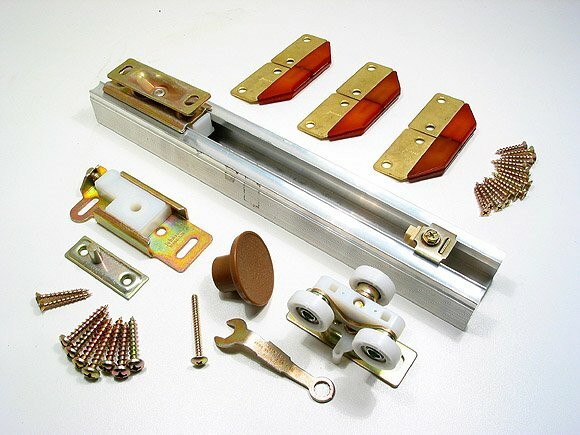 The 100FD hardware for bifold doors is a commercial grade track hardware for interior doors up to 75 lbs each and up to 24" in width and 108" in height. The heavy duty tricycle wheels with ball bearnings and the steel top pivot support the entire weight of the bifold doors so the doors can hang without binding. Maximum Door Weight: 75 lbs. 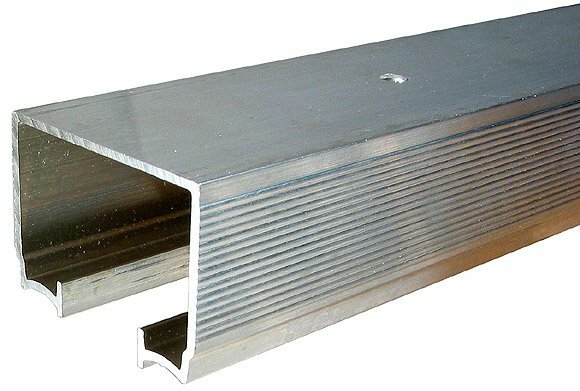 Extruded from heavy walled Aluminum the 100FD box track completely encloses the tricycle wheels to prevent the doors from jumping track. The inside of the tracks are convex to reduce friction and provide smooth operation. 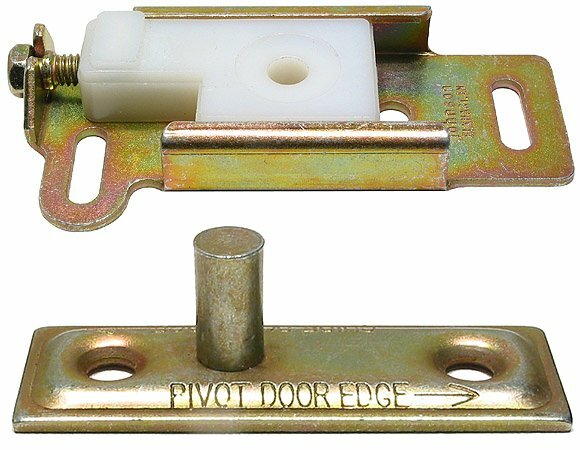 Made from heavy gauge steel these heavy duty top pivots keep your bifold doors securely in place. 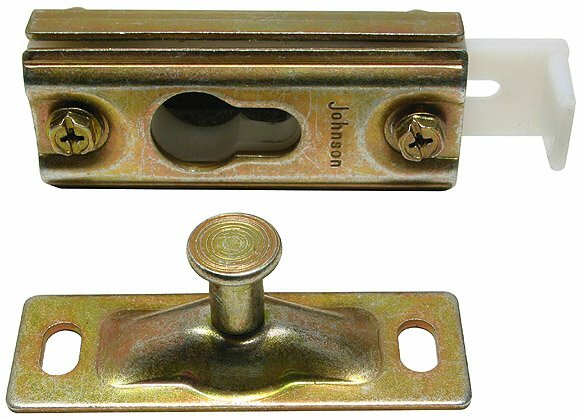 The locking clip prevents the doors from ever falling out of the track. 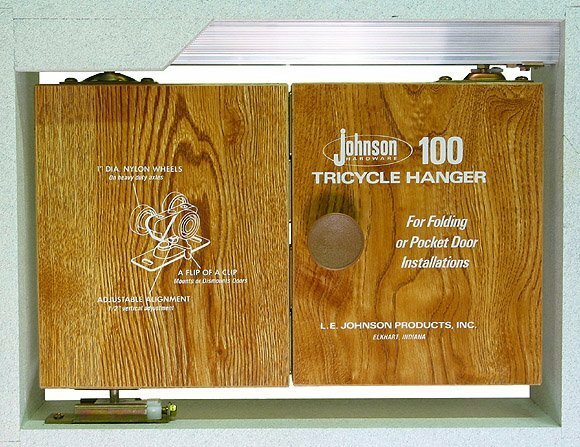 Heavy duty tricycle hangers evenly distribute the weight of the bifold doors and can hold individual doors weighing up to 75 lbs each. Nylon encapsulated ball bearing wheels are machine turned and balanced for smooth operation. The tricycle hangers also have a locking clip which insures that the bifold doors stay in the track. 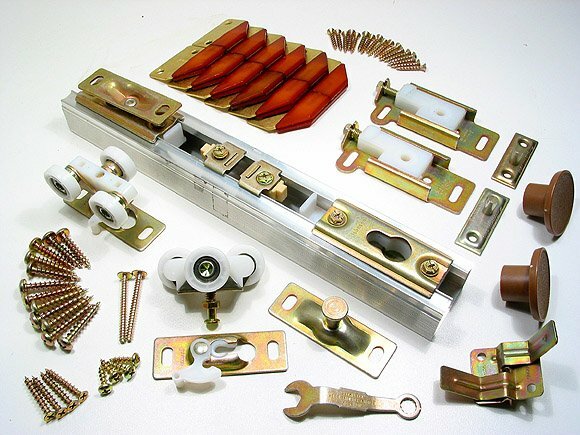 The 100FD hinges for bifold doors are a non-mortise hinge for easy installation and have nylon bearings for extra support and smooth operation. 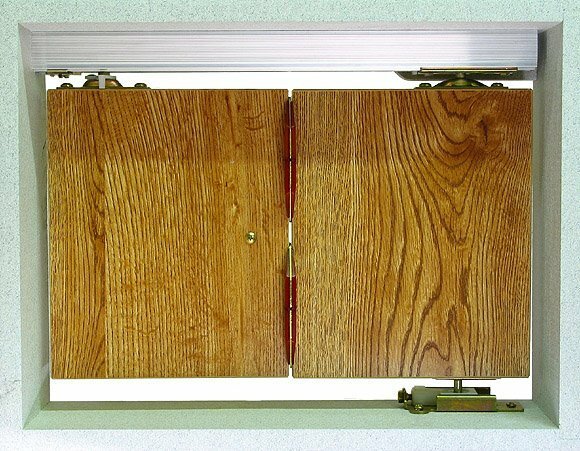 The bottom pivot mounts to your floor and is fully adjustable to keep your doors aligned and working properly.